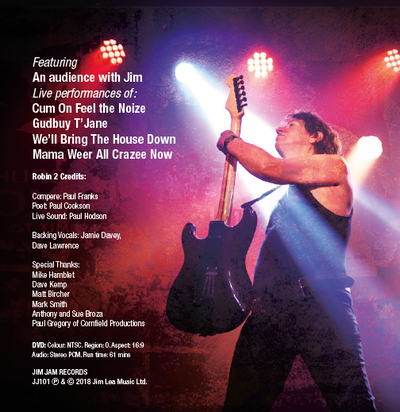 ​ Jim's new charity DVD was released on Monday 2nd July - and you can order your copy now! (I.E. THE SALE PRICE OF £12 PER DVD GOES TOTALLY TO THE CHARITY). Once they have been sold no further DVD's will be available. Your order request is your PayPal payment. 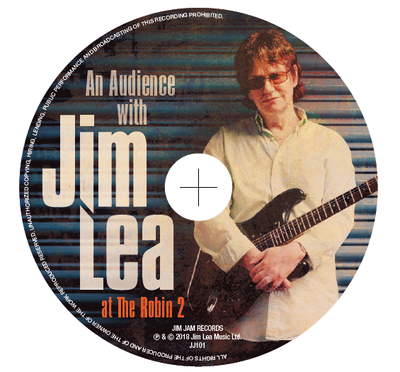 Jim's new charity DVD 'An Audience with Jim Lea at the Robin 2' came about because of an idea of fan Paul Gregory from Huddersfield. 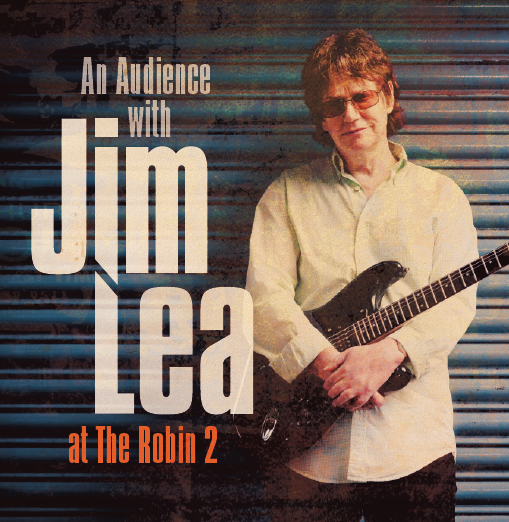 Paul attended Jim's event at the Robin on 5 November 2017 and really enjoyed the 'For One Night Only' DVD showing and Q&A, and was blown away by Jim's surprise musical performance - and the audience reaction. Paul and his wife Jeanette were starting a new wedding video business as a hobby. and thought that as a practice they would put together a DVD of the day. They used their own mobile phone footage, and sourced other video available on social media. They added the best sound recording they could find on the day to the video. In their 'production room' they added other little special pieces (that fans will see when they purchase the DVD). After creating a DVD sleeve, they decided to give the finished product to long-term friend and massive Slade fan Colin Launder ('Big Col') as a Christmas present. ​Colin got the DVD delivered to him all wrapped up as a surprise. He was gobsmacked and grateful for the gift, and as he watched it at home, he and his wife Sue discussed how it would be a shame if Jim himself (and other fans who were there on the day) didn't get to see the end result. 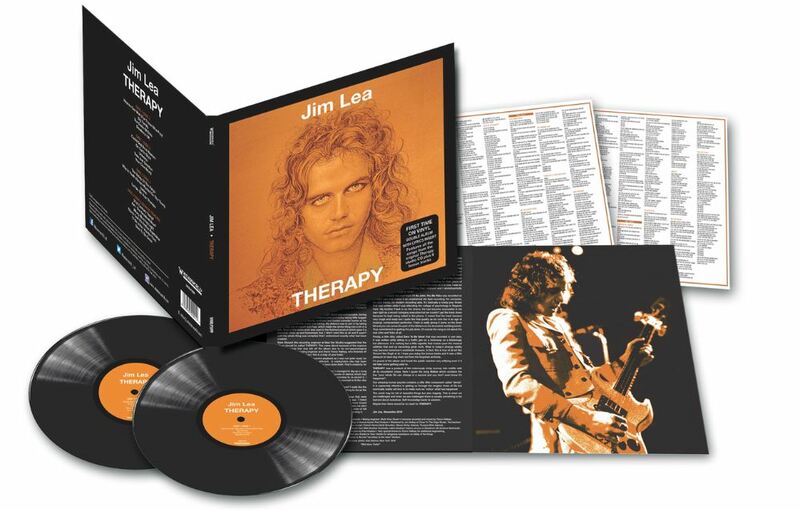 Colin asked Paul if he could possibly create a second copy - which he did. 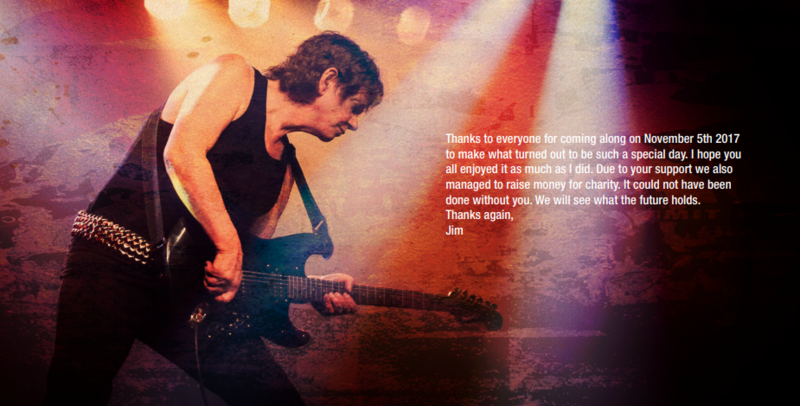 This was sent into Jim's website. 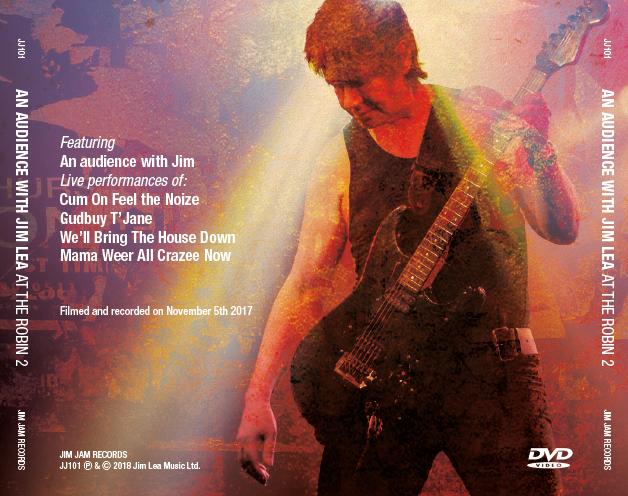 The website passed the DVD on to Jim's manager Frank (his brother). Once again Frank was so impressed with the DVD that he sat Jim down and played it to him - without giving him any info about what he was about to watch. Jim so enjoyed what he saw - he thought that he could use some of his magic and make it even better. Paul had suggested that Jim might possibly sell the DVD to fans as a memoir and generate funds for Jim's chosen charity, Dementia UK. Jim took Paul up on his offer - and Paul gave his piece of work to Jim for free. Jim and Frank then got the help of Jim's professional camera-man Dave Meehan (from Nyquest Ltd) who was at the event with his own camera. He did the post production work. He edited in some of his camera footage to the created DVD, and replaced the sound with that recorded on the actual mixing desk. Frank arranged for a new DVD sleeve and brooklet to be produced to accompany the product.